From the work of Jehovah to that of Jesus, and from the work of Jesus to that of this current stage, these three stages cover in a continuous thread the entire gamut of God’s management, and are all the work of one Spirit. Since the creation of the world, God has always been at work managing mankind. He is the Beginning and the End, He is the First and the Last, and He is the One who begins an age and the One who brings the age to an end. The three stages of work, in different ages and different locations, are unmistakably the work of one Spirit. All those who separate these three stages stand in opposition to God. The work in the last days is the final stage of the three. It is the work of another new age and does not represent the entirety of the work of management. The six-thousand-year plan of management is divided into three stages of work. No one stage alone can represent the work of the three ages, but only one part of a whole. The name Jehovah cannot represent the whole of God’s disposition. The fact that He carried out His work in the Age of Law does not prove that God can only be God under the law. Jehovah set forth laws for man and handed down commandments to him, asking man to build the temple and the altars; the work He did represents only the Age of Law. This work that He did does not prove that God is only a God who asks man to keep the law, or that He is the God in the temple, or that He is the God before the altar. To say this would be untrue. The work done under the law can only represent one age. Therefore, if God only did the work in the Age of Law, then man would confine God within the following definition, saying, “God is the God in the temple, and, in order to serve God we must put on priestly robes and enter the temple.” If the work in the Age of Grace had never been carried out and the Age of Law had continued until the present, man would not know that God is also merciful and loving. If the work in the Age of Law had not been done, and instead only the work in the Age of Grace, then all man would know is that God can only redeem man and forgive man’s sins. Man would know only that He is holy and innocent, and that for man’s sake He is able to sacrifice Himself and be crucified. Man would know only these things but have no understanding of all else. And so each age represents one part of God’s disposition. As for which aspects of God’s disposition are represented in the Age of Law, which in the Age of Grace, and which in this present stage: only when all three stages have been integrated into one whole can they reveal the entirety of God’s disposition. Only when man has come to know all three stages can he understand it fully. None of the three stages can be omitted. You will only see the disposition of God in its entirety after coming to know these three stages of work. The fact that God completed His work in the Age of Law does not prove that He is only the God under the law, and the fact that He completed His work of redemption does not mean that God will forever redeem mankind. These are all conclusions drawn by man. The Age of Grace having come to an end, you cannot then say that God belongs only to the cross and that the cross alone represents the salvation of God. To do so would be to define God. In the present stage, God is mainly doing the work of the word, but you cannot say then that God has never been merciful to man and that all He has brought is chastisement and judgment. The work in the last days lays bare the work of Jehovah and Jesus and all mysteries not understood by man, so as to reveal the destination and the end of mankind and end all the work of salvation among mankind. This stage of work in the last days brings everything to a close. All mysteries not understood by man needs must be unraveled to allow man to plumb them to their depths and have a completely clear understanding in his heart. Only then can the human race be divided according to their kind. Only after the six-thousand-year plan of management is completed will man come to understand the disposition of God in its entirety, for His management will then have come to an end. The work being done at present has pushed forward the work of the Age of Grace; that is, the work under the entire six-thousand-year management plan has moved forward. Though the Age of Grace has ended, God’s work has made progress. Why do I say time and again that this stage of work builds upon the Age of Grace and the Age of Law? This means that the work of this day is a continuation of the work done in the Age of Grace and an advance over that done in the Age of Law. The three stages are tightly interconnected and each link in the chain is closely tied to the next. Why do I also say that this stage of work builds on that done by Jesus? Supposing that this stage did not build on the work done by Jesus, another crucifixion would have to take place in this stage, and the redemptive work of the previous stage would have to be done all over again. This would be meaningless. And so it is not that the work is completely finished, but that the age has moved forward and the level of the work has been raised even higher than before. It may be said that this stage of work is built on the foundation of the Age of Law and on the rock of Jesus’ work. The work is built stage by stage, and this stage is not a new beginning. Only the combination of the three stages of work may be deemed the six-thousand-year management plan. 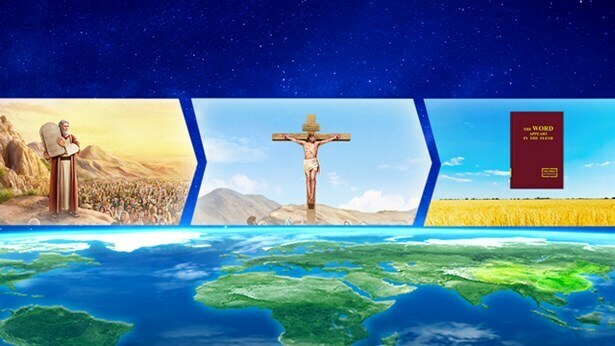 The final stage of work does not stand alone, but is part of the whole formed together with the two previous stages, which is to say that it is impossible to complete the entire work of salvation by only doing one of the three stages of work. Even though the final stage of work is able to fully save man, this does not mean that it is only necessary to carry out this single stage on its own, and that the two previous stages of work are not required to save man from the influence of Satan. No single stage of the three stages can be held up as the only vision that must be known by all mankind, for the entirety of the work of salvation is the three stages of work, not a single stage among them. As long as the work of salvation has not been accomplished, the management of God will be unable to come to a complete end. God’s being, disposition, and wisdom are expressed in the entirety of the work of salvation, not revealed to man at the very beginning, but have been gradually expressed in the work of salvation. Each stage of the work of salvation expresses part of the disposition of God, and part of His being; not every stage of work can directly and completely express the entirety of God’s being. 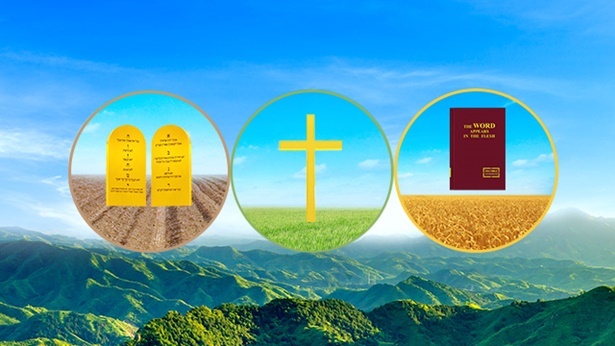 As such, the work of salvation can only be fully concluded once the three stages of work have been completed, and so man’s knowledge of the entirety of God is inseparable from the three stages of God’s work. What man gains from one stage of work is merely the disposition of God that is expressed in a single part of His work. It cannot represent the disposition and being that is expressed in the stages before or after. 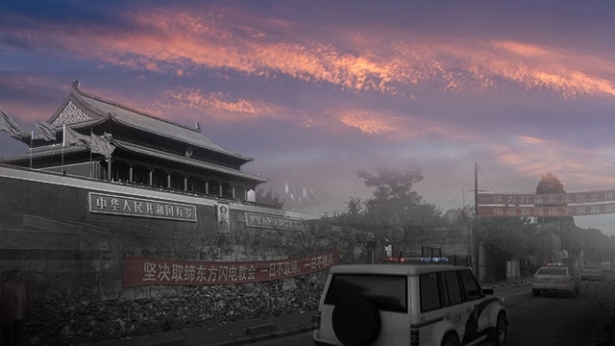 That is because the work of saving mankind cannot be finished straight away during one period, or in one location, but gradually becomes deeper according to man’s level of development at different times and places. It is work that is carried out in stages, and is not completed in a single stage. And so, God’s entire wisdom is crystallized in the three stages, rather than in one individual stage. His entire being and entire wisdom are laid forth in these three stages, and each stage contains His being, and is a record of the wisdom of His work. … Each of the three stages of work is carried out upon the foundation of the previous stage; it is not carried out independently, separate from the work of salvation. Though there are great differences in the age and type of work that is carried out, at its core is still the salvation of mankind, and each stage of the work of salvation is deeper than the last. The entire management of God is divided into three stages, and in each stage, fitting requirements are made of man. Furthermore, as the ages pass and progress, God’s requirements of all mankind become ever higher. 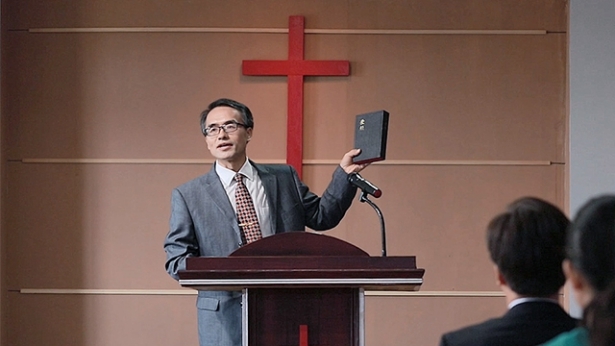 Thus, step-by-step, this work of God’s management reaches its climax, until man beholds the fact of the “appearance of the Word in the flesh,” and in this way the requirements of man become even higher, and requirements of man to bear testimony become even higher. The more that man is capable of truly cooperating with God, the more that he glorifies God. Man’s cooperation is the testimony that he is required to bear, and the testimony that he bears is the practice of man. And so, whether or not God’s work can have the due effect, and whether or not there can be true testimony, are inextricably linked to the cooperation and testimony of man. When the work is finished, which is to say, when all of God’s management has reached its end, man will be required to bear higher testimony, and when the work of God reaches its end, the practice and entry of man will reach their zenith. In the past, man was required to comply with the law and the commandments, and was required to be patient and humble. Today, man is required to obey all of God’s arrangements and possess a supreme love of God, and is ultimately required to still love God amid the tribulation. These three stages are requirements that God makes of man, step-by-step, throughout His entire management. Each stage of God’s work goes deeper than the last, and in each stage the requirements of man are more profound than the last, and in this way, God’s entire management gradually takes shape. It is precisely because the requirements of man are ever higher that man’s disposition comes ever closer to the standards required by God, and it is only then that the whole of mankind gradually departs from the influence of Satan until, when God’s work comes to a complete end, the whole of mankind will have been saved from the influence of Satan. Next：How do God’s three stages of work gradually deepen so that people may be saved and perfected?